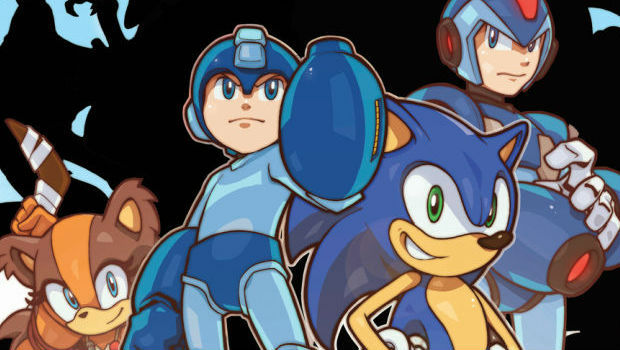 This year, Sega and Capcom will join forces yet again in a Mega Man meets Sonic Archie comic crossover. This time is billed as 'Worlds Unite,' which will feature a host of characters from the aforementioned franchises in addition to Sonic Boom. But according to an image teased on IGN, there will be a lot more characters involved. If you look closely you can see some outlines of iconic characters, and the head writers are saying this time around the worlds are "drastically different" -- which should make for an interesting crossover.